For those of you expecting a crude and obnoxious article written by a self-centered, ego-driven pig of a man, you'll have to wait for Donnie's next post. If you don't mind, "Donnie" is going to step out of his comfort zone and address something that has been thrashing about in his mind for the past few days. 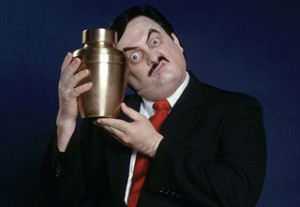 It doesn't matter if you called the guy William Moody, Percy Pringle III, or Paul Bearer. On March 5, 2013 the world lost a man with a loving soul and a kind heart who had a passion for entertaining millions. I will refer to this man as "Paul", because that's who he was to me as I was growing up. 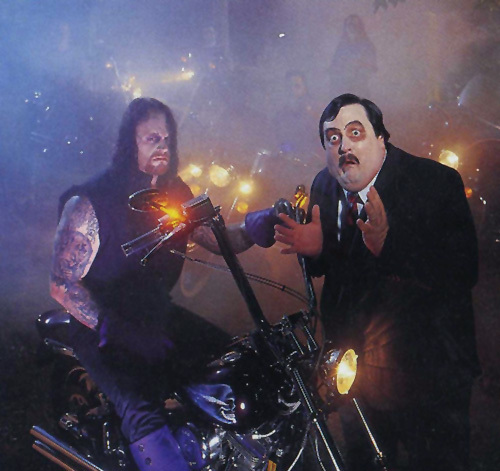 I remember Paul Bearer with the ghostly white face and the high pitched voice screaming "Ooooooh Yeeeeess!" as he stood next to some new guy in the world of pro wrestling - an evil entity with super human strength and super natural abilities who would be known the world over as the Undertaker. Just the visual of these two men together was enough to keep you adhered to your most comfy spot in front of the TV every Saturday. Back then, wrestling had something it lacks today. Maybe it was the larger than life characters, maybe it was the fact that the people who were allowed on air actually had talent, or maybe it's just because everything is cooler when you're a kid... I don't know. I won't go into great detail about how much better everything was when I was little, but I will say at least wrestling was watchable back in those days. It was WWF, not WWE. It was Vince McMahon shouting, "WHAT A MANEUVER!" 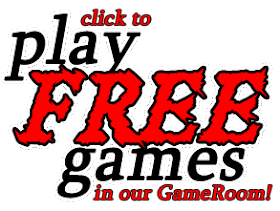 as you took out a WWF ice cream bar before it dripped all over the carpet. It was yelling at the Macho Man to hold the ropes for Miss Elisabeth, instead of the other way around. It was crying as Andre The Giant choked the life out The Hulkster, brother. While all the neighborhood kids would say, "I'm Hulk Hogan" or "I'm Macho Man" or "I'm Bret Hart" when we would all wrestle out in the yard, yours truly wanted to be guys like Bobby Heenan, Jimmy Hart, Slick, or... OOOOH YEEEES, Paul Bearer. Those were the guys that got the reactions without having to be big muscle-y dudes. Run your mouth, piss people off, then run like hell. The WWF managers were good at that, and come to find out, so was I. And while I won't get into my own stint in the world of pro rasslin' (we'll save that for another time), I will say guys like Paul and Bobby inspired me to want to entertain people too. It's sad. As you get older, the things you once held close start slipping away. Your shows are cancelled, your music is no longer on the radio. Your friends move away, your "secret fort in the woods" is now a Walmart Supercenter. Your stars fade, and your heroes fall. You realize nothing will ever be like it once was, and you realize dad was right when he said, "Son, enjoy being a kid while you can, because one day you'll wake up an old man." I feel like an old man. My childhood has died. Paul, I remember you reading the touching words you wrote for Owen Hart after his tragic passing. You deserve to have someone do the same for you. Of course, I'm no wordsmith... I'm just some jerk who insults people on a website. What you mean to me, and what you've meant to millions of others can't be put into words anyway. You are someone I wish I could have met in this life so I could say to you personally, thank you. Thank you for making my real life problems go away, and for taking me to a world where anything can happen. Moving forward, you will not be forgotten. May God Bless you, and the ones you leave behind.